When should you start potty training? There is no set “right time” to potty train your son or daughter. It varies for every family and every child. But once you observe some potty training readiness behaviors, you’ll know it’s time to move forward with your family’s potty training adventure. The truth is that no two kids train alike. The secret to success in potty training is to tune into your child’s unique learning style. Whether the start of potty training comes earlier or later for your child, you’ll get your cues on “when it’s time” from your child. That emerging independence starts shining through and they’re eager to please. Now is the time to start actively watching for these signs of readiness for potty training. If you're still not sure if you are ready, take our Potty Training Readiness Quiz. 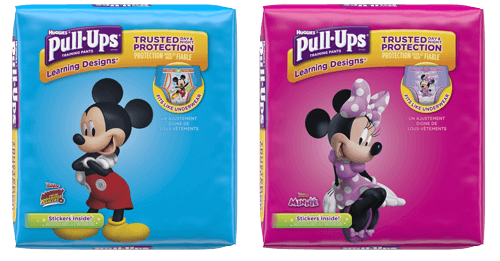 If you and your little one are ready to get started, head over to the Pull-Ups® Potty Partnership, a whole new way to potty train together, based on your child's personality.